A purchaser of real estate in New York State typically has plenty to evaluate in determining whether to buy a property. Usually the evaluation is limited to the four corners enclosed by the property line. This blog post addresses the matters that are beyond the property line that should concern a buyer. Fences can be seen enclosing many properties in New York State, but are often not within the legal property line. When a fence is erected, a property owner should have a staked survey prepared and the fence installed consistent with the property line as shown on said survey. Of course, many people do not know that surveying is a prudent means by which to install a fence or do not wish to incur this expense. 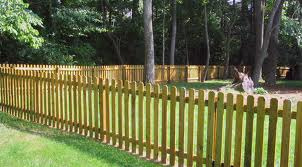 As a result, many fences may be installed over another person’s property line. This may not be discovered until a neighbor attempts to sell his property and the neighbor’s buyer conducts a title search and survey, discovering that the selling party is out of possession as to a portion of his property. If the portion that is out of possession is less than six inches, most title companies will insure such an exception to coverage. If the out of possession portion is more than six inches, the selling party will need to request an affidavit from the encroaching neighbor stating that they know their fence encroaches beyond their property line and that they make no legal claim to the encroaching portion. This affidavit will allow the title company to insure as if the encroachment were less than six inches. Should the out of possession issue not be discovered for some reason or the encroaching neighbor is not willing to sign such an affidavit, the encroaching neighbor may acquire the strip of land by operation of law under the legal principal known as adverse possession. It is not uncommon for the encroaching neighbor to request a fee to sign such an affidavit or to request an easement (right to use) the strip of land in exchange for signing any agreement. The parties to a transaction will need to determine whether it is worthwhile to agree to such terms in order for the transaction to proceed. Fence maintenance can also be an issue. If the fence does not belong to the seller, but is in disrepair or has been damaged by a storm, is the owner of the fence cooperative in making such repairs? The buyer may not wish to encounter a security issue of an open fence or the eyesore or dangerous conditions of a fence in disrepair. Another boundary issue relates to common driveways. For aesthetic or topographical reasons, what appears to be one large driveway actually serves two properties. 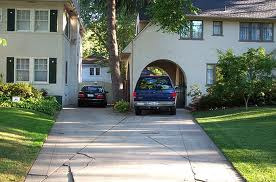 A buyer should have the title company in this instance confirm that the buyer has equal legal access to the driveway, or the buyer may not have legal access to the street from his house. The buyer should also make sure that the neighbor on the other side of the driveway acknowledges the shared nature of the situation and is in good favor with the seller. There should be a written agreement with respect to access and driveway maintenance, covering snow removal, asphalt replacement and the like. Whether the boundary issue relates to a fence or a driveway, an easement recorded with the county in which the property is located is protective of the purchaser because any person searching the properties at issue will locate the easement and be aware of the benefits and burdens applied to the properties by the easement. This document should be obtained by the title company and evaluated to confirm that it runs with the land and applies to the successors and assigns of the parties to the original easement agreement. As such, the buyer will obtain all of the benefits of the easement agreement, even if the buyer was not an original party to the agreement. Interestingly enough, even if an easement agreement is so old that is was recorded with the county on microfilm decades ago, making it relatively illegible, it is still effective to protect the rights of subsequent parties. Our firm is available to interpret these boundary dispute issues on behalf of its real estate practice clientele.